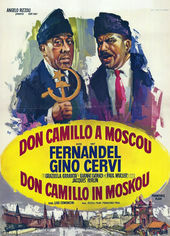 In the opening title sequence of the 1965 comedy Il compagno don Camillo, also known as Don Camillo in Moscow, a couple of madcaps get into a tussle. The conflict at the film’s heart is between two community leaders in a small town in northern Italy just after the Second World War: Don Camillo (Fernandel), the lumbering, tempestuous priest, and Giuseppe Bottazzi (Gino Cervi), better known as Peppone, the town’s communist mayor. 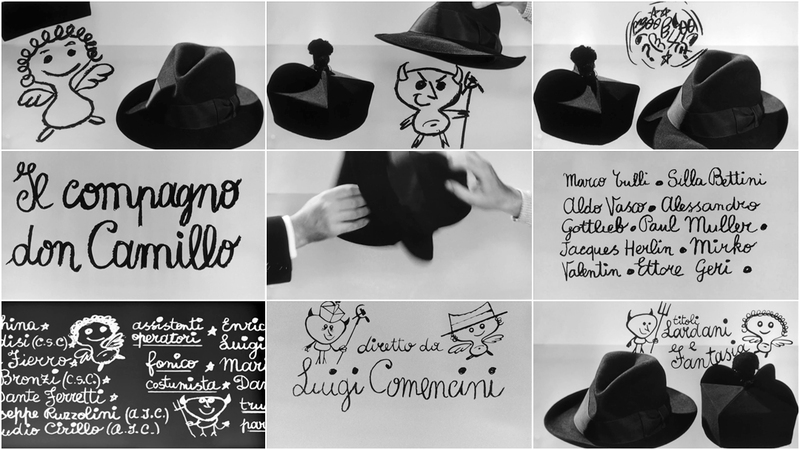 In the opening sequence, Italian designer Iginio Lardani and cinematographer Armando Nannuzzi take the symbol of each man’s station – his hat – and place it at the head of film, letting the biretta and fedora speak in their stead, acting out their disagreements – with a dash of Soviet symbology. Lardani, most well-known for his graphic and vibrant title design work for Sergio Leone’s Dollars Trilogy, here embraces simplicity and mischief. In this rare black-and-white entry in Lardani’s oeuvre, the drawings take on an impish likeness and the hand-lettering is undeniably friendly in its many loops, dots, and stars. The effect is immediately disarming – a knock-out of accessible and spirited film design. 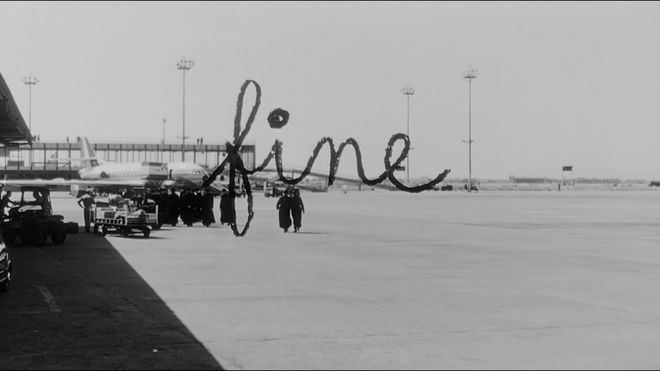 TITLE DESIGN HAS A RICH HERITAGE THAT MUST BE PRESERVED. HELP ART OF THE TITLE KEEP GOING.